Earthy, industrial-looking mango wood. 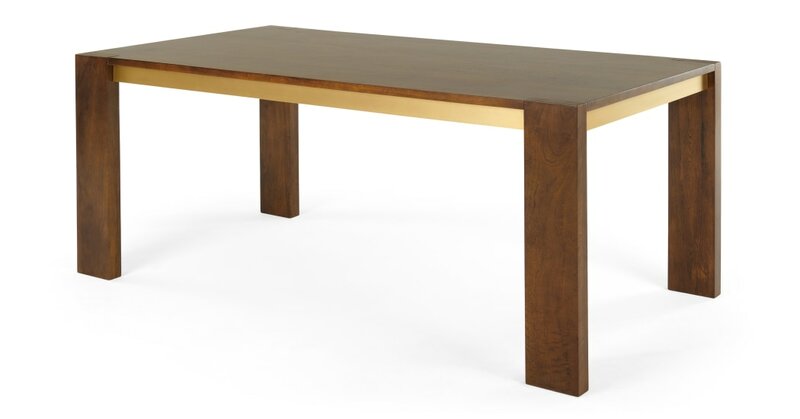 This dining table was always going to be a looker. The metallic trend's nailed too, thanks to the solid brass cladding – Anderson's a knock-out furniture piece designed to add a luxe feel to your place. Designed in-house and made in India. Anderson boasts the solid mango wood and weighty frame you’d expect from a high-end piece, without the high price tag. Perfect for long dinners, Anderson’s show-stopping look is sure to drop jaws. Team yours with matching metallic accessories around the room and invest in the full collection for an elevated take on industrial style in your home.